How To Reach Faster Your 2018 Goals Through Your Past? We reviewed in the previous post How To Ignite Your 2018 Vision With your Why? If you didn’t see it yet, you can check it out here. Today, we’re going to understand and review how to reach your goals faster through your past. 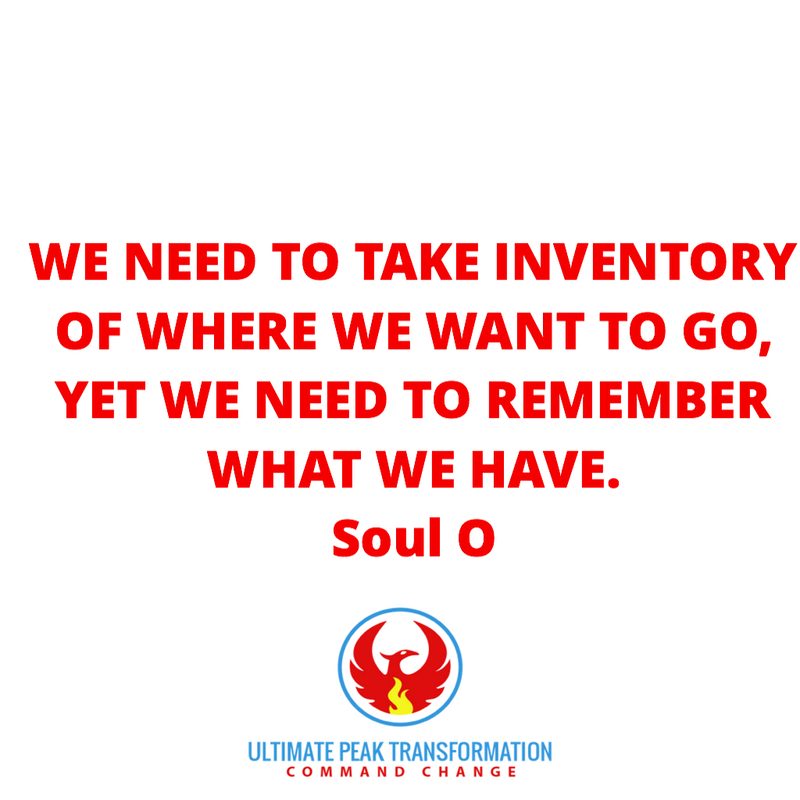 When you can change the memories of your past, you can move into a new future and by means of that you can elevate your vision for the future. We’re going to discuss a powerful practice that has been shared in all cultures, traditions by many masters. You might have guessed by now? If not let me share with you a short story to illustrate this point. When I was little boy in Africa growing up, In the tropical forest, I was very scared of a snake called green mamba. The green mamba has the reputation to kill people after between 30 minutes to 2 hours of its bite. I think I even developed a snake phobia because of the green mamba. However, when I grew up I realized that the green mamba bite is not deadly but its venom is. After the green mamba’s bite, the venom enters our bloodstream and if we don’t stop it on time, when it mixed itself to our bloodstream, it reaches our heart and lung and by mean of that- there’s asphyxia. Each of us has had hard moments in the past, and most of the time we hold to the energy of those moments as we feel victim or we feel that we’ve been wronged and we cannot change anything. To Forgive means to exchange and give your old perception for a new perception. The general paradigm is that most people believe that we are supposed to forgive because of our religious affiliation or anything like that, but here, I want to share why we NEED to forgive for our own sake so we can claim our power back and redeem ourselves regardless of the action, or the event. Similarly, the event or the snake bite doesn’t kill or make us stuck from our past-but it’s us holding ourselves unto our own perception and interpretation of the events. So that’s why we want to release that perception, whatever that is, that is Not helping, we need to release it so that, it doesn’t infect our blood like the venom. Let us review together and understand the phenomenon of holding on to the blockages of the past. Here the video with deeper explanation. For the most part, there are two levels where people hold onto the energies of the past. For one, if we‘re in relationship, there will be miscommunication, and betrayals, and so much more. That comes from the feeling of being hurt- where we feel that- we’ve been wronged in some way, shape or form. We feel frustrated, angry then, toward that person, sometimes it elevates to resentment, blame. Here’s what to be aware of at that point- we are stuck in that energy. We are turning around and circling into that circular energy that is toxic like the venom of the green mamba. Just to bring it to consciousness-we are without doubt in the victim energy when we feel wronged, hurt, or resentful – In that victim energy we’re NOT resourceful and we are holding ourselves back. 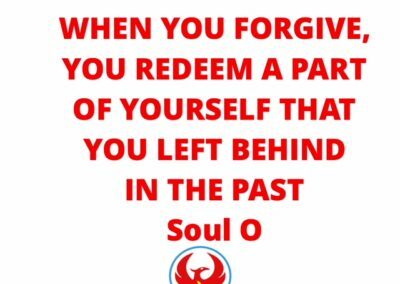 This is when forgiveness is needed; very simple, it doesn’t change the event, but in forgiving you are creating a new relationship with what happened with the event and therefore you are creating a new relationship with your past. You are giving away that old perception for a new perception- you are redeeming yourself. Forgiveness is an act of redemption. Forgiveness is allowing you to start a new. So, the question becomes what are you redeeming and what are you buying back? By releasing that stuck energy, you are renewing yourself, by giving that old perception for the new- you are redeeming yourself. In that sense-Forgiveness makes all things new. It’s NOT whether or not, we should forgive or not- the real question is to understand that it’s a principle and a fact. Like gravity, you can pretend to ignore it or you can acknowledge it and use it to your advantage, own it yourself and claim it. Just in case you find yourself saying that you do NOT need to forgive, or that you don’t have any trauma from the past, I would like to caution you that as long as you’ve had interaction with human beings you would need to include this practice as something frequent enough. Why this matter to you? Without forgiveness we get trapped with dark energies that keep us fixed and make more matter like. The more focus we are on those dark energies the “heavier”; the more matter we are and the harder it is move for our future visions or goals. The lighter you are, the faster you can move while when we are on the blame and Victim vibration, we are focused and more particles like as in matter: because we are focus on one thing- me, myself and I. 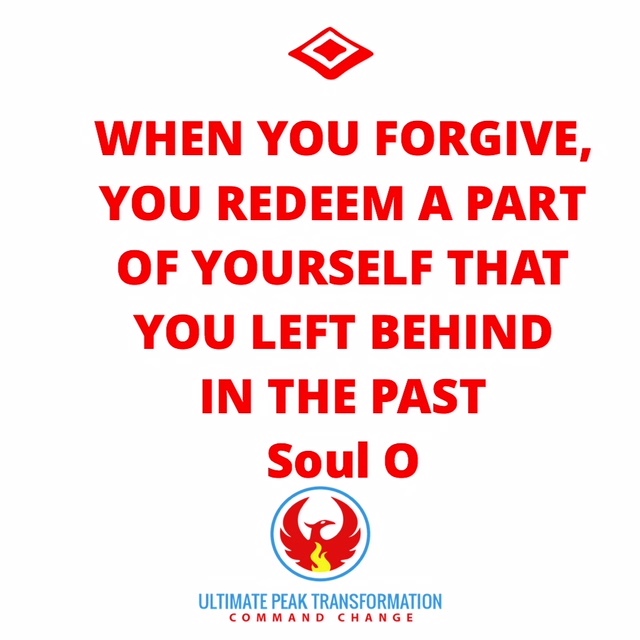 When you forgive you are expanding your core vision- you come to change the perception that what happened is bigger than your ego. In that way you are expanding your vision, your energy field. Let me repeat this- Forgiving doesn’t delete the past, but forgiving will heal you and allow you to create the future all new again. The second way that we get stuck in the past, is when we were expecting some events to occur, some goals to be met, but they didn’t happen and we get disappointed. This event necessarily wouldn’t have to have someone involved, it could have been a goal you wanted to achieve that you didn’t accomplish; so you get disappointed; or sometimes we get to blame ourselves- By feeling guilty into something we were expecting to be able to do but that we didn’t do -so we get into this negative circle. In fact, so many successes are being self-sabotages because of these energies of self-doubt, blame, guilt, which flow into worthiness and self-esteem later on. You cannot change the event that happened but as you learn to forgive, you are creating a new relationship with the event and your past. As you create that new perception from your past, you are simultaneously creating a new relationship with the past, and from that you are transforming the energy associated to that event, and as you do that, you are changing yourself and you are freeing yourself to build your future anew again. 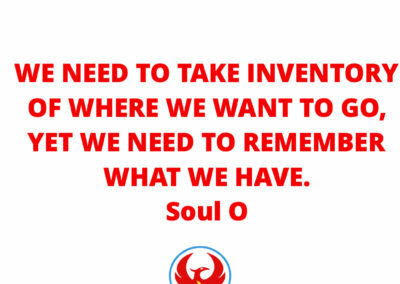 That’s where wisdom is built-we change the emotional charge of the memories of our past and through that we are moving into a new future. How do we that in reality? Step 1-Realise that events do not define you. You cannot give your emotional energy to that event anymore. When you are angry or resentful toward someone/something, you are giving part of your life to that person. Ask yourself if that person merit your attention and your whole spirit enough in such a way that you are willing to waste part of your life in that non- resourceful energy of victimhood, angst, accusation, blame. That same question can be asked if it was guilt or blame. The younger you, or the less wise you (that has grown and know better now)- does it deserve that you waste your time in trying to correct it? Just pause and acknowledge and say- I AM SORRY. Step2- you can decide who you’re going to be and how you’re going to be. When you forgive, you are claiming the freedom and the authority that you are more than any event, circumstances or anybody actions toward you. You are claiming your wholeness. In that space, what turns the energy is you asking the question: what can I learn from this? What capacity can I develop with what happened? Every one of us has had hard things in our lives, the power of forgiveness liberates us from those hard things, it doesn’t change what happened to us, but forgiveness allows us to transmute the relationship to what occurred to us and by means of that we increased our capacity to hold more, be more and have more and do more, and then we are elevated and finally we are freed. It’s a way of bringing healing to any part of us that is out of alignment. It’s also a practice called ho’oponopono- that is very powerful. A four-step process. By repeating a mantra- I’m sorry, Please forgive me, I love you, thank you. It’s a practice that is powerful as well. Specifically. The Work is a way of identifying and questioning any stressful thought. It consists of four questions and a turnaround. 2-Can you absolutely know that it’s true? 3-How do you react, what happens, when you believe that thought? 4-Who would you be without the thought? The next step of The Work, the turnaround, is a way of experiencing the opposite of what you have believed. Another teacher, that has helped thousands is Hale Dwoskin(who learned with Lester Levenson) through the Sedona Method. “There are three ways to approach the process of releasing, and they all lead to the same result: liberating your natural ability to let go of any unwanted emotion on the spot, and allowing some of the suppressed energy in your subconscious to dissipate. Stay tuned next week, we’ll be learning with another powerful practice that can free you to the next level as you work toward achieving your vision. Now you can just go and enjoy the live version .